Microsoft has released new Windows IoT Core build 14993 for Insiders. With this latest build, Cortana is now available for Insiders running latest Windows 10 IoT Core insider build. Also, there many new features and improvements in latest IoT build. With the introduction of Cortana with Windows 10 IoT Core build 14993, now device manufacturers can integrate Cortana into almost anything. 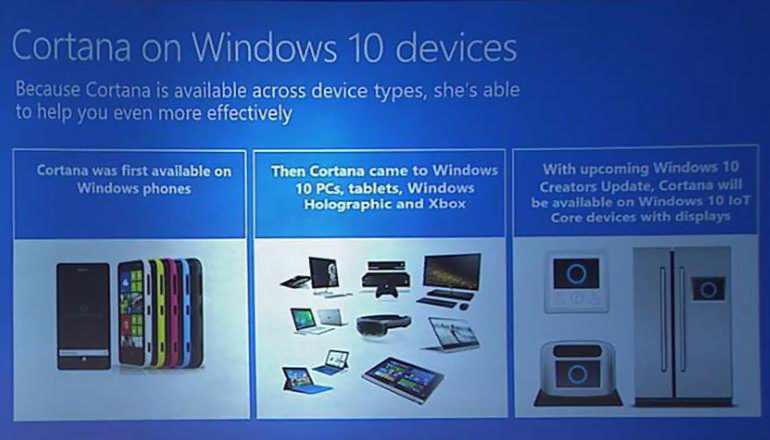 In future, we can expect Cortana on fridge, thermostat and many more other devices. It will be interesting to see how Microsoft’s artificial assistant will work on those devices. Check out what else is included in the latest IoT build. New information about Windows 10 Creators update insider build 14993 leaked online. More details here.